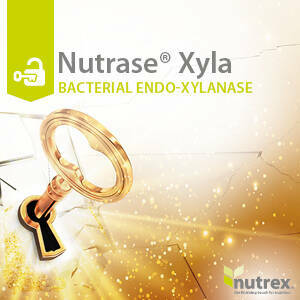 Nutrase Xyla Bacterial endo xylanase for poultry and swine. 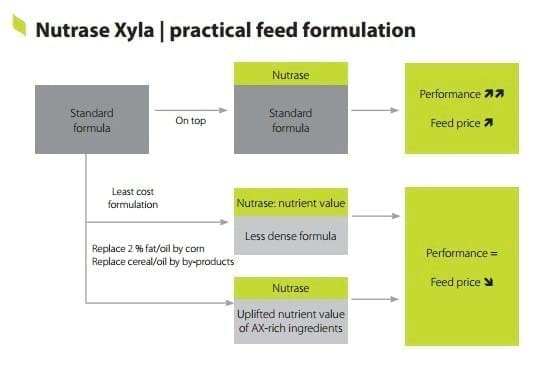 Nutrase Xyla is a unique bacterial endo-xylanase with special properties that considerably improve digestibility of corn and wheat diets for poultry and swine. Wheat, corn and barley are major ingredients in animal feeding, which provide production animals with essential nutrients and energy for growth and maintenance. However, a considerable portion of the carbohydrate fraction present in grains is made up of poorly digestible components that have substantial anti-nutritional effects in the animal, thereby adversely affecting animal production performance. 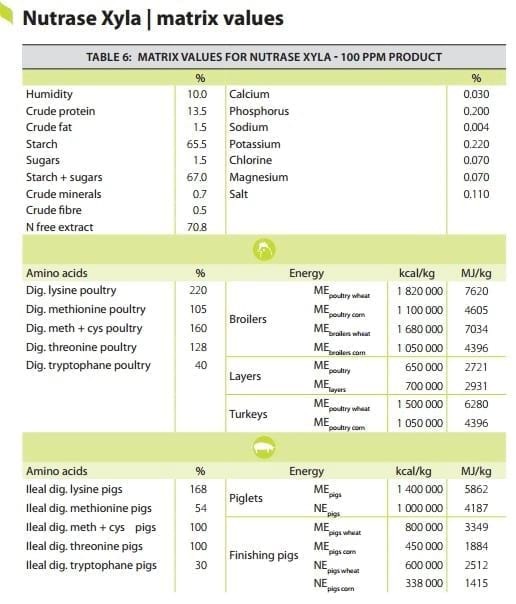 NSP enzymes acting on the feed carbohydrate fraction are widely used in animal production for their capacity to increase feed digestibility and to decrease the anti-nutritional effects of certain carbohydrates. This allows improved performance or a more efficient use of cheap, low quality carbohydrate-sources without adversely affecting animal performance.